How to restore lost notes after iOS 11.3 update? After upgrading to iOS 11.3 on iPhone, the note app is missing all the documents I created! They’re not even showing on the cloud. My device is iPhone 8 plus. Is there a way to recover them? Does anyone know? Thank you! iOS 11.3 introduces new features including ARKit 1.5 with support for more immersive augmented reality experiences, iPhone Battery Health, new Animoji for iPhone X users, and more. This update also includes stability improvements and bug fixes. 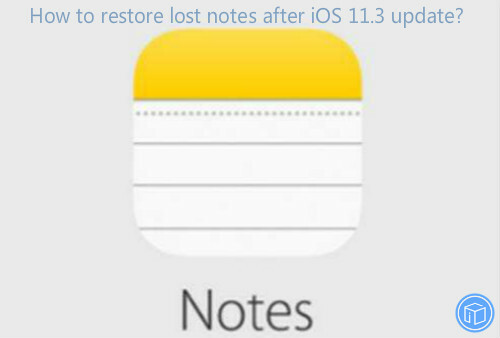 However, many users in the apple community feedback that their notes are missing after the update. What if you’ve checked notes for a recently deleted folder, logged into iCloud.com but still cannot find them? Don’t be overwhelmed, a third-party software called iFonebox may help you recover lost notes after iOS 11.3 update. 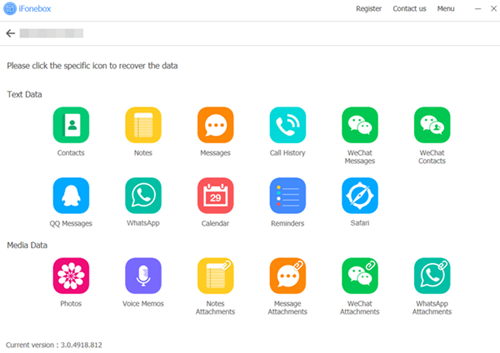 Except for getting missing notes back after iPhone update to iOS 11.3, as long as you backed your device to iTunes or iCloud before, it would be an easy task for iFonebox to extract data from backup files. Compared to recovery by iTunes, you can download the trail version first to find out your lost data. Besides, it enables you download only needed data from the whole backup. iFonebox is also an outstanding transferring tool, that sounds amazing, right? 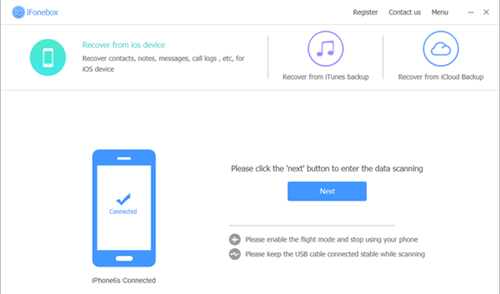 It’s necessary to download and install iFonebox on your computer. There are two versions available: Windows version and Mac version. Next, I am going to show you how to retrieve vanished notes if your iPhone update to iOS 11.3. Connect your iPhone to the computer, in this interface, you’ll see “Next” in blue area, click it to continue. You can click “Notes” icon, it will scan automatically, please wait in this step patiently. Please do not unplug the USB cable in the progress. 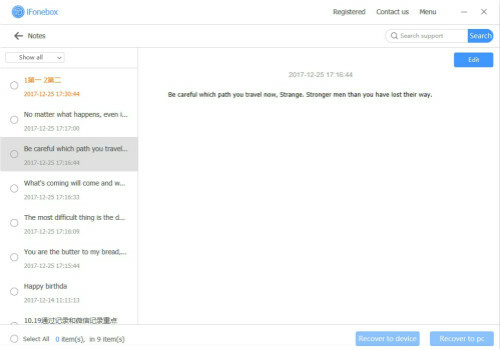 After the scan finished, it will show you all the recoverable notes on your phone, you can choose the contents you want and transfer them to your computer or device. This entry was posted in Backup/Back Up, iOS 11, iOS Device, Notes and tagged restore lost notes after iOS 11.3 update by IosdroneD. Bookmark the permalink.